In this interview with Ignite Team member Tony Dennis from Freedom Star Project, Mark talks specifically about Ignite Teams and why it is one of his own Dreams to help other find their purpose and legacy in life. 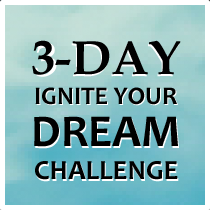 To find out more or to join an Ignite Team please click here. In this interview with Ignite Team member Tony Dennis from Freedom Star Project, Mark talks specifically about Ignite Teams and why it is one of his own Dreams to help other find their purpose and legacy in life.